Topps is heading to the 2015 San Diego Comic-Con with Star Wars on their mind. 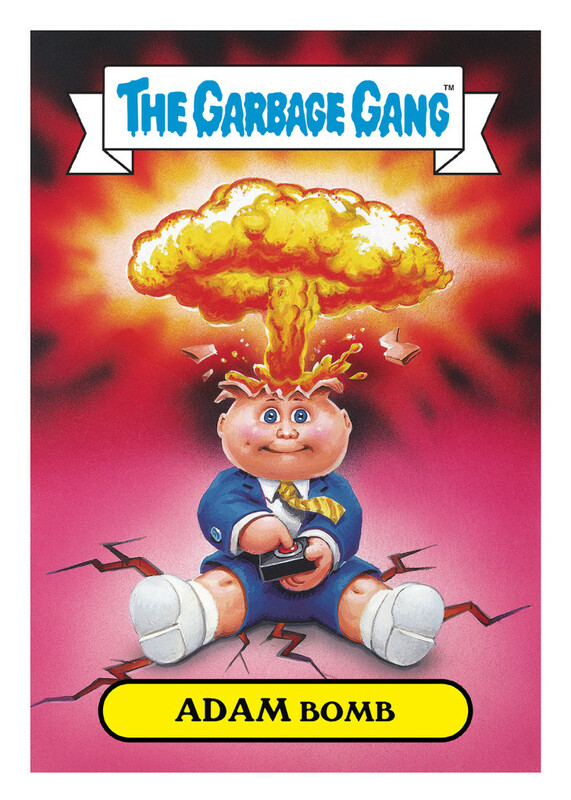 And the 30th anniversary of Garbage Pail Kids. And some Wacky Packages. With that comes some exclusive cards, promotions for their Star Wars Card Trader app and a preview for a new digital initiative based on the franchise. Each set costs $20. 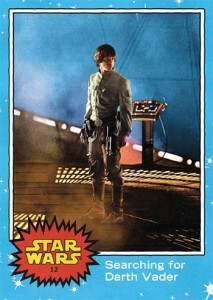 Topps is unveiling a preview image everyday leading up to Comic-Con on their Star Wars Facebook page. Besides the exclusive cards, staff will be on hand showing off Star Wars Card Trader, a smartphone app similar to Topps Bunt, that focuses on digital cards. Comic-Con attendees can get an exclusive digital card as well. They're debuting their line of Topps Star Wars Galactic Connexions trading discs. What these are exactly has been announced, but there will be demos and lots on display. An exclusive disc will also be given away at the event. 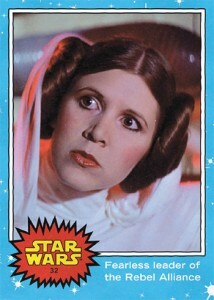 Topps' Star Wars exclusive can be found in the Lucas Pavillion at booth 2913-J. The Marvel booth has a copy of the new Lando #1 comic that has a familiar look to it. The border is like the one used in the first set of Star Wars trading cards. Inside is a promo card for the upcoming 2015 Topps Star Wars Journey to the Force Awakens set. 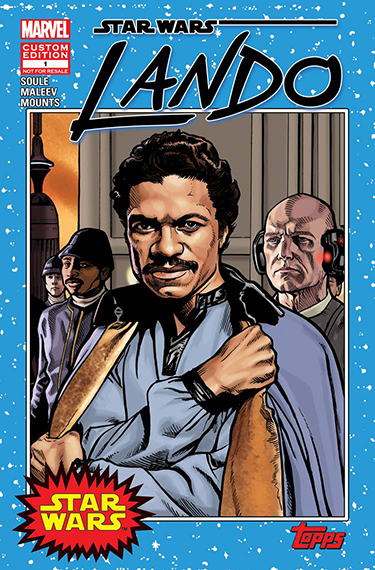 The cover was drawn by Randy Martinez, who has a long history with both Star Wars and Topps. It's not all Star Wars for Topps at Comic-Con. Part of the Garbage Pail Kids 30th Anniversary set is an insert called Foreign Legion that looks at how GPK have been translated into other languages and cultures. There will be ten over-sized versions of the cards available at the event for $20 each. These stickers measure 5x7 and are limited to 400 copies each. 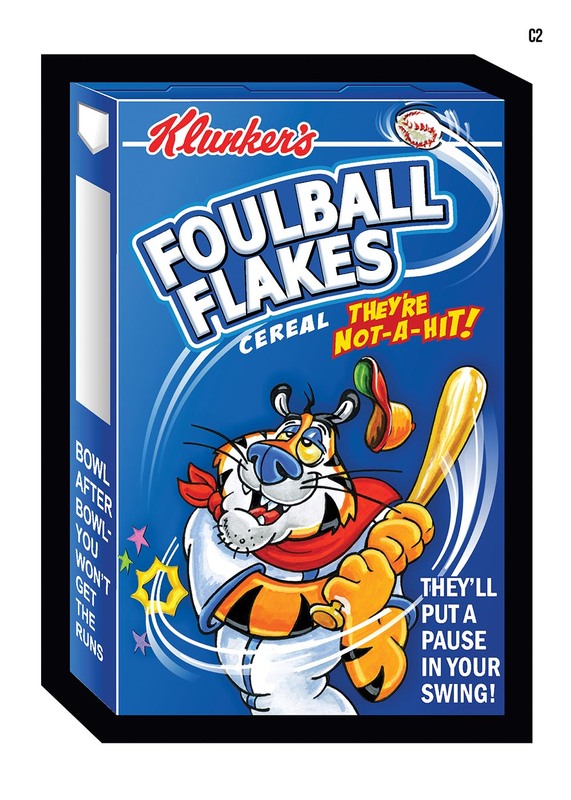 Topps is also making a set of jumbo Wacky Packages postcards. Limited to 300 copies, the set has five cards, also measuring 5x7. One is a new gag created by the late Bhob Stewart, one of the early creators of the Wacky line. Sets cost $20. Both the Garbage Pail Kids and Wacky Packages San Diego Comic-Con exclusives can be found at the Atomic Toybox booth (#3921). 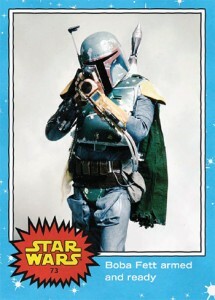 Free Boba Fett Pack by going to toppsapps.com/swcardtrader/promo Enter Code: TOPPSSDCC2015 and your in app trader name. Free pack will be in bulletin. 2017 TOPPS STAR WARS THE LAST JEDI HOBBY SEALED BOX- IN STOCK!